Festival craziness and an adventure of a lifetime awaits for those who will be there, where ever that may be. We have styled up some of our current range and a few sneaky pieces from our new range, due to be released next week. @salliejane and I had some fun styling this up with many of our current pieces and a few sneaky peaks of some new things coming next week! A sneak look at our new chain mail bralette crop. Layered with the new chain mail scarf. Add some hot pants, a fishnet top, and don’t forget the googles! A new feather top (available soon!) 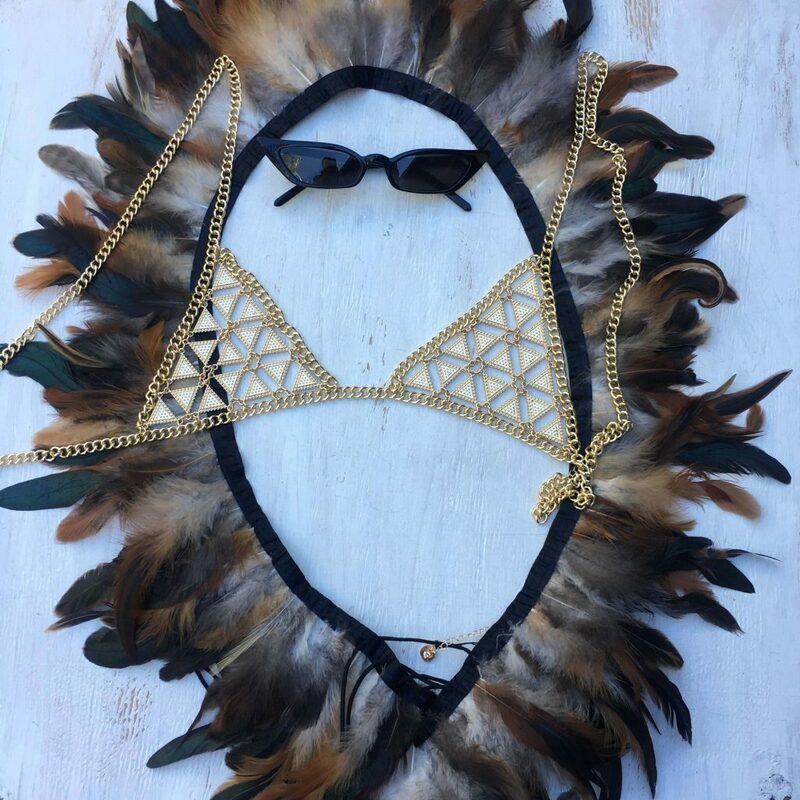 teamed with our Delta bralette and these amazing skinny shades by Poppy Lissiman. Felecia bralette with Harlow dress, Heather choker and Penny earrings. 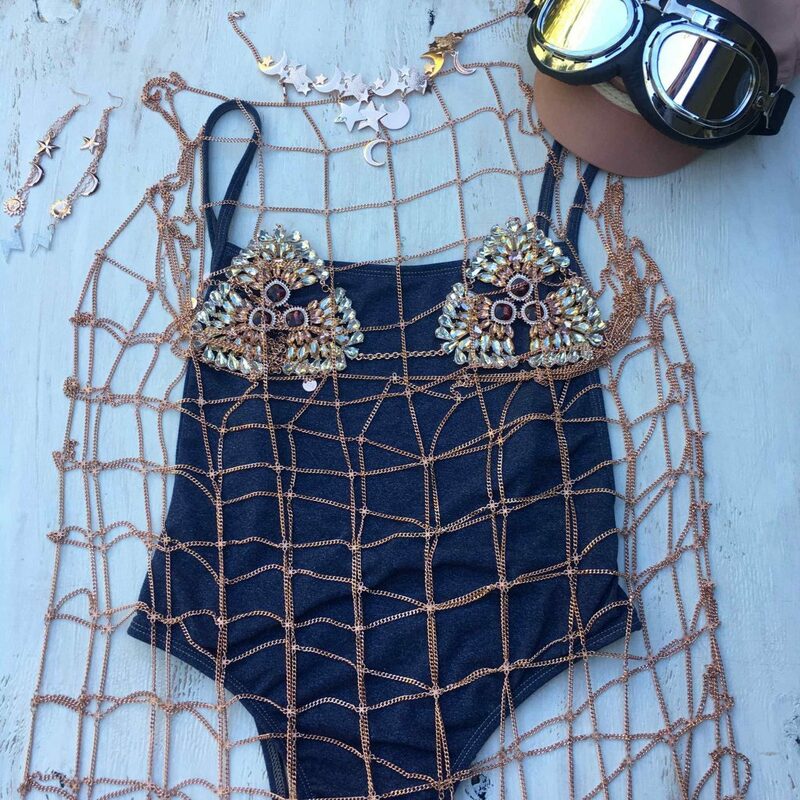 Styled up with Annake swimwear high cut denim one piece. Don’t forget your goggles and Fallen broken street hat. Pink faux fur, team it with Minka chain bralette and this epic http://www.wearesubmarine.com/ silver tassel skirt. 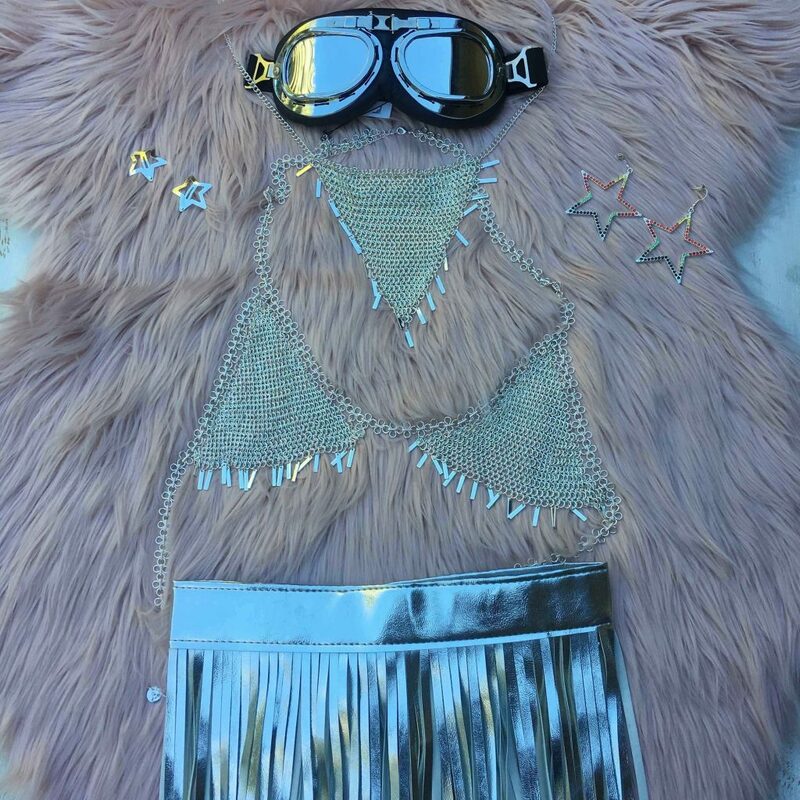 Add some stars to your hair and googles to your head, Burning man ready. 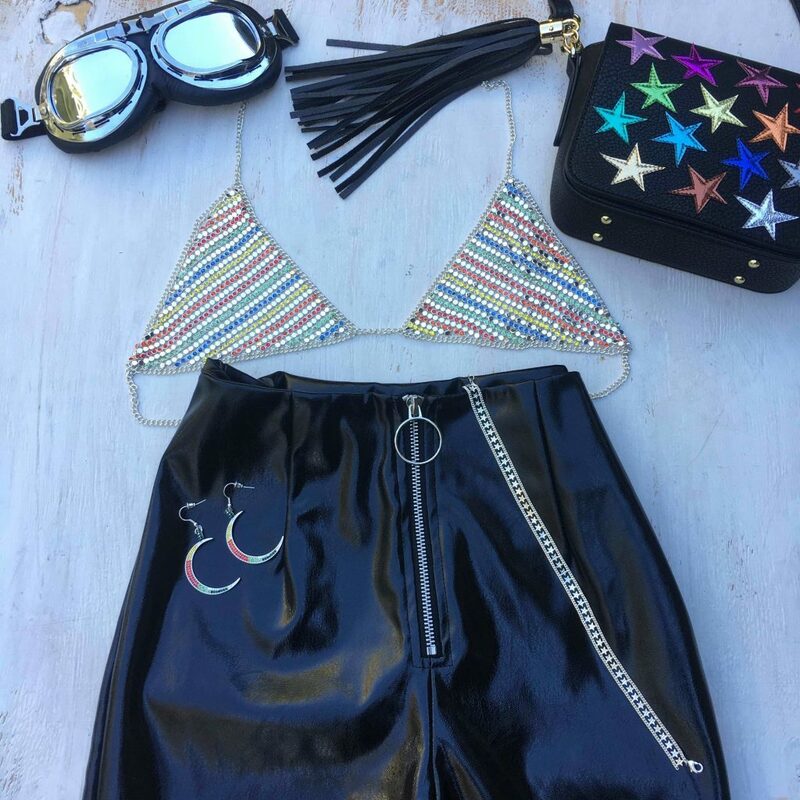 Some shiny black pants looks epic with our Rainbow Amber bralette. 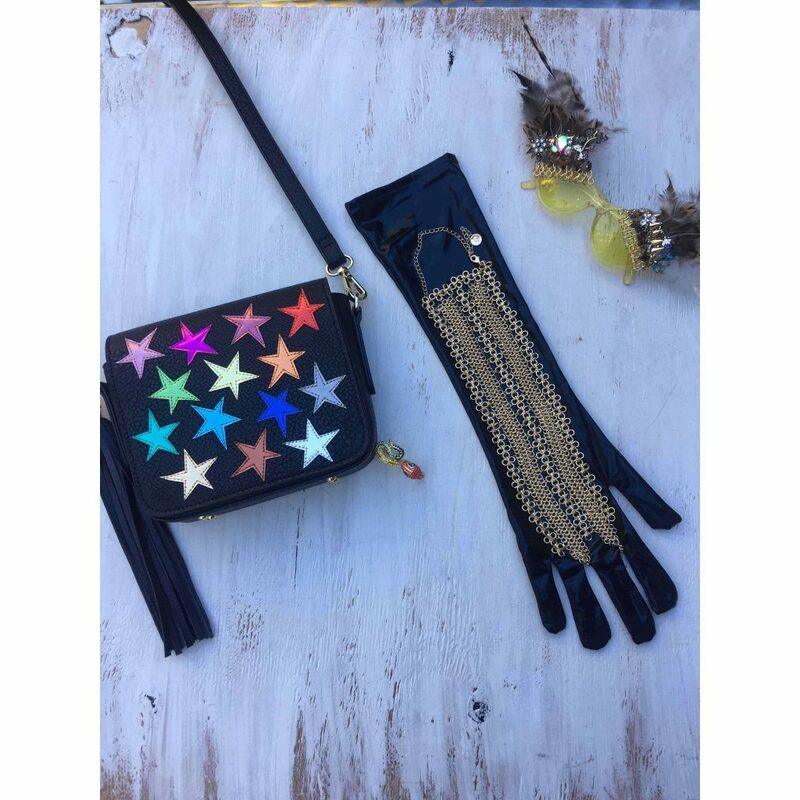 Add the moon earring and the amazinghttps://poppylissiman.com/ star bag. 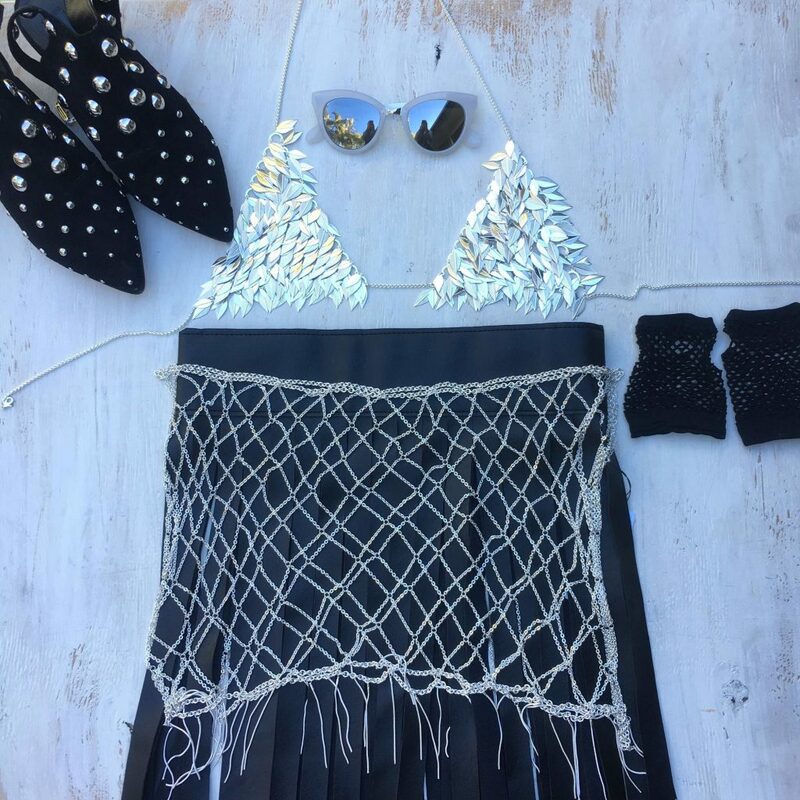 Anouk bralette, styled with http://www.wearesubmarine.com/ tassel skirt, with our Harper skirt, some fishnet gloves and studded boots with Zara sunnies. Team some basic black ripped jeans with a new mesh mini crop we have available next week. 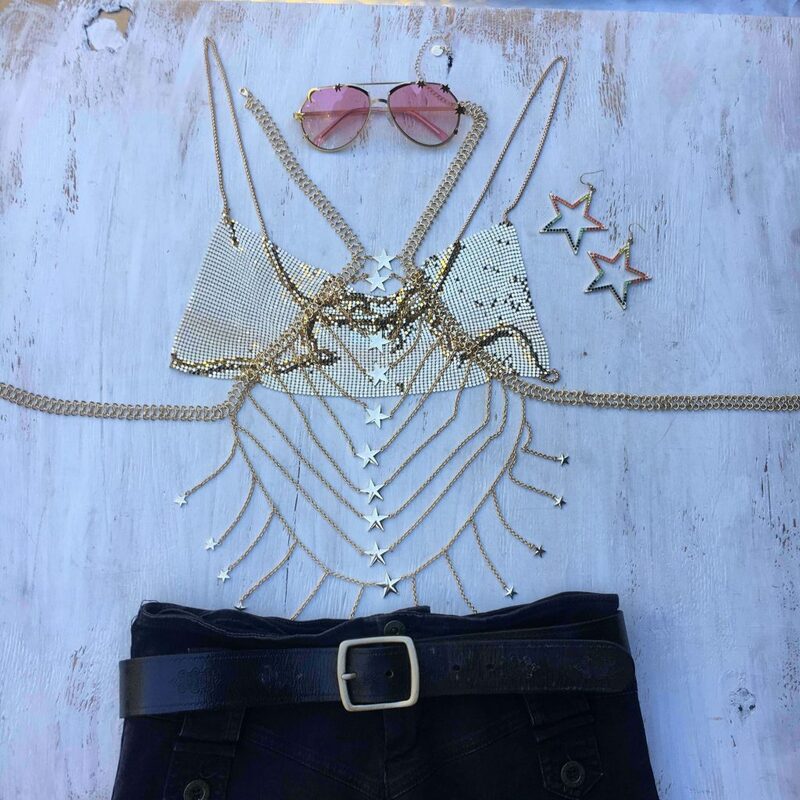 Its styled with our new body chain (releasing next week also. Add our star earring and Im obsessed with my new star shades from Poppy Lissiman. 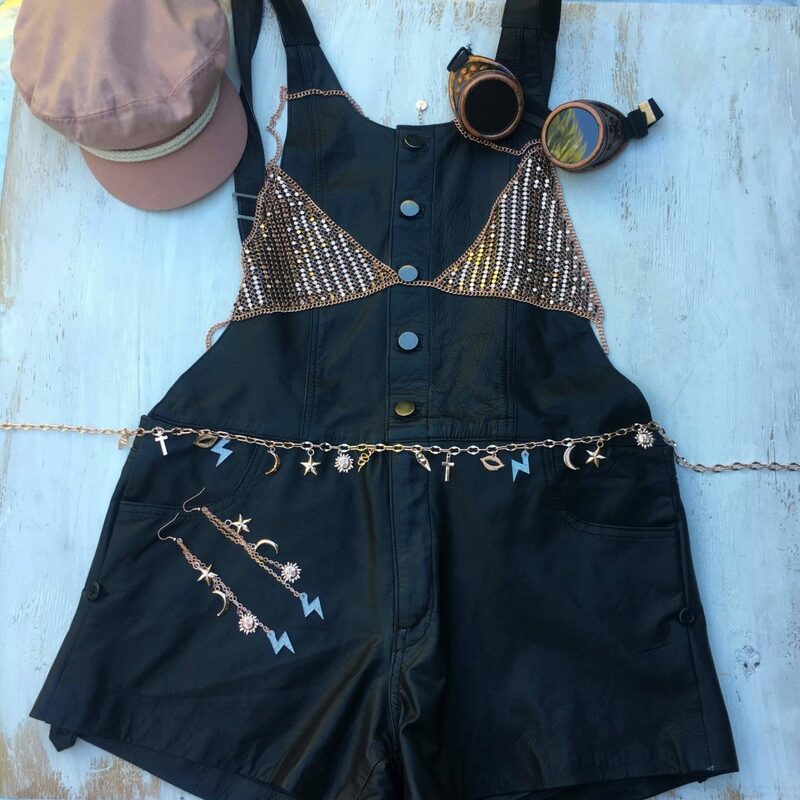 Leather overalls with some rose gold jewels, our Amber bralette, Penny belt and earrings. 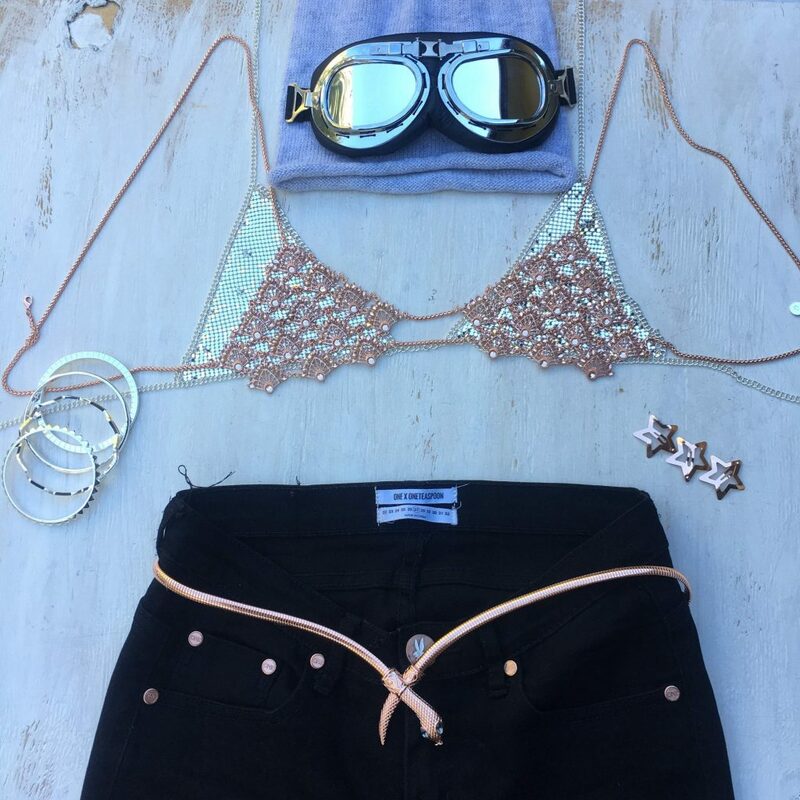 Fallen Broken street cap and we love these goggles with their rose gold finish. 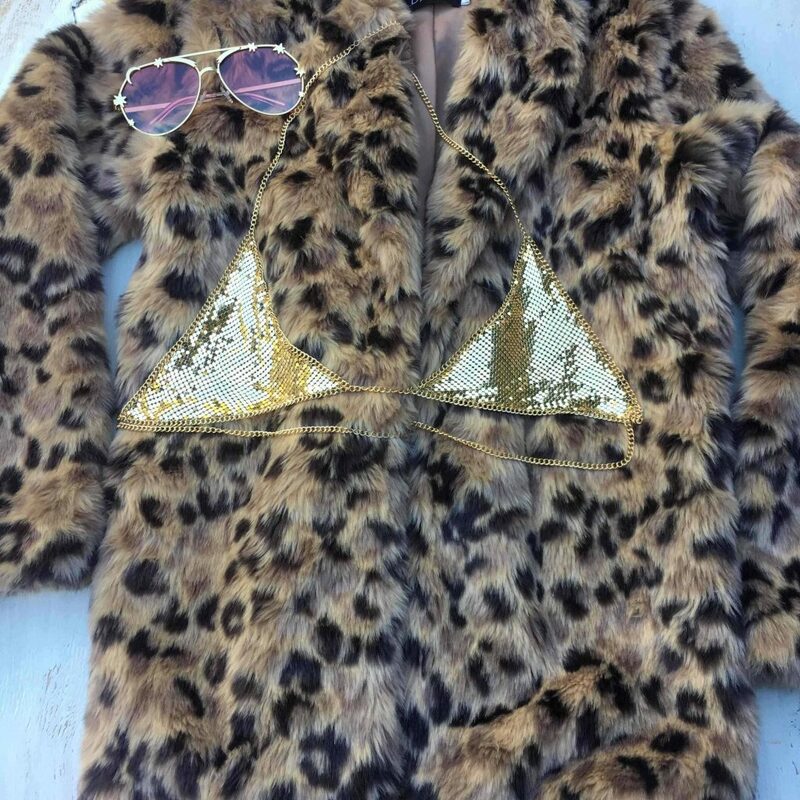 Loving the leopard faux fur, add some bling with our mesh Iggy bra and some cool shades. 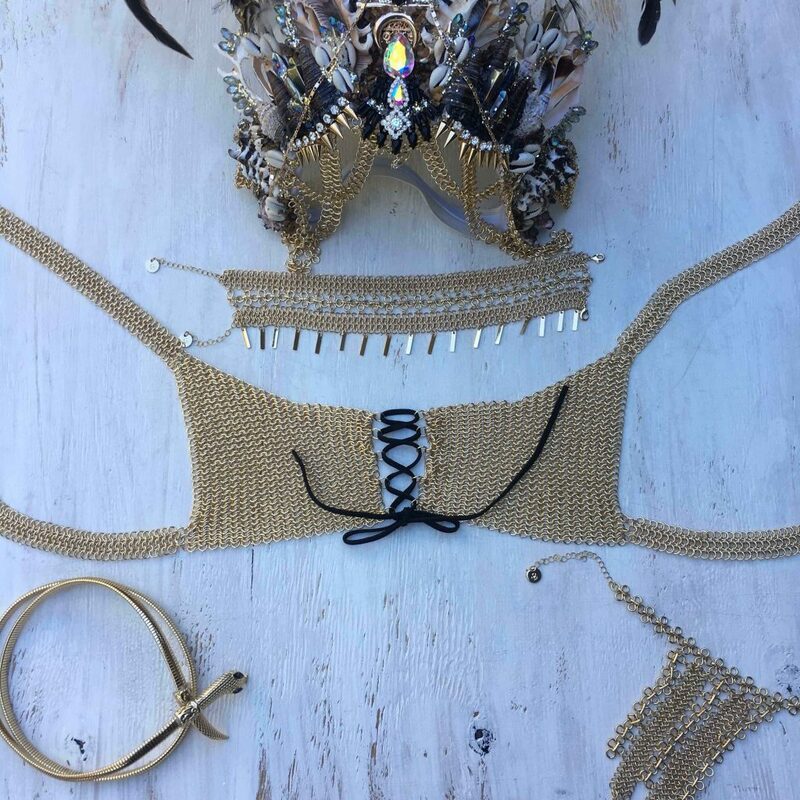 Sneak peak at our new chain mail bra with a tiw up front. We are in love with this design and team it with Minka choker, our new chain mail hand piece and snake belt. Crowing yourself in a http://www.chelseasflowercrowns.com/, queen of the burning man festival !! 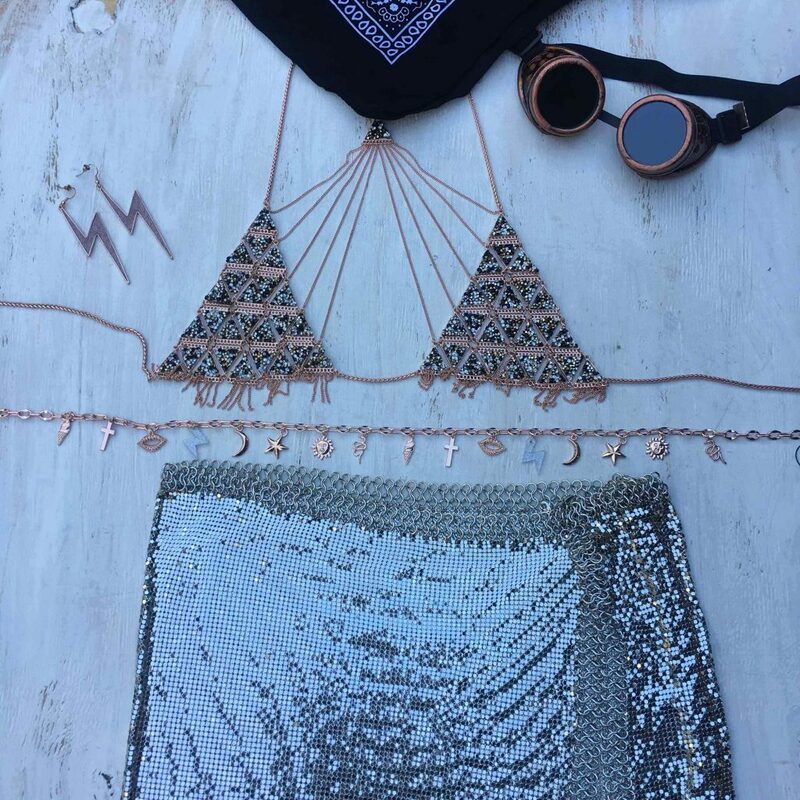 I love layer pieces, this is Iggy silver bralette with Rose gold Scarlette. Jeans, Carrie bangle set and some star clips with the snake best. Love mixing the metals. Cut some holes in your beanie and add your googles. Long gloves go perfectly wiht our new chain mail armlets. We love http://www.chelseasflowercrowns.com/ customised sunnies and the star bag! Ginger mesh skirt with Gracie bralette in Rose gold. Love mixing metals, finished off with lightning bolt earrings and Penny Belly chain. Rose gold finish googles my fav!